Question: I am a mother of two living in Dubai. My husband has recently become a heavy drinker. I am not sure if I want to divorce him or not but what can I do to get the custody over my children for the time being? Answer: UAE law calls for the maintenance of a favourable and holistic environment for children. When the court is tasked with determining which parent should be granted child custody, it must consider where the child's best interests would lie. Article 143 of the Personal Status Law provides a condition that the custodian must be sound of mind and competent enough to raise and protect a child when they are in their custody. Heavy drinking will likely harm his petition to claim custody. Article 156 of the Federal Law No. 28 of 2005 states that mothers can only have custody of their sons until they turn 11, and for their daughters until they turn 13 - unless the court decides that it is in the child's interest to extend that period until the son turns 18 or the daughter marries. Given the issue of alcohol abuse, the court could choose to reject your husband's custody claim. In light of the foregoing, it is more likely that the court may extend the custody with the mother. Moreover, a custody case can be filed independently of a divorce case or as part of the divorce claim. Question: I am a Muslim and my fiance is Christian. We are planning to get married in Dubai next year but I was warned that he must convert to Islam and become a Muslim beforehand. Could you explain the procedure and if this really affects my chance to marry him? Answer: Under Islamic Law it is not permissible for a Muslim woman to marry a non-Muslim man unless the husband-to-be converts to Islam first. However, it is legal for a Muslim man to marry a non-Muslim wife who has not converted to Islam. As per Article 47/8 of the Federal Law No. 28 of 2005, the marriage by a Muslim woman to a non-Muslim is prohibited and therefore such a marriage is invalid in the UAE. 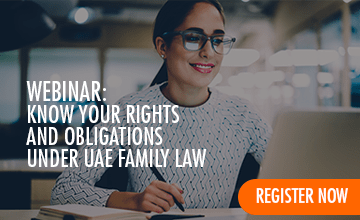 If a couple is living in the UAE, their marriage, cohabitation and any resulting pregnancy shall be subject to the laws of the Emirates.